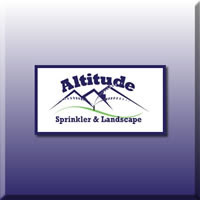 For over 26 years Altitude Sprinkler and Landscape has been the landscape company in Centennial customers call first. As a full service landscape company we have experience providing unique landscaping for residential and commercial properties. Our specialists understand the varied soil conditions in the Denver area. Our experts design landscapes to thrive in this type of climate. As a landscape company some of the services we provide include; landscape design, soil preparation, trees and shrubs, mulching, patios/walkways and landscape lighting. Licensed and insured we are proud to have grown our business with satisfied customers. If you are looking for a landscape company in Centennial, see why our customers call us first. Visit us online or give us a call today. You spent a lot of money on your sprinkling system, don’t wait until your sprinkler system stops working before you hire a professional for maintenance and repair. Most people don’t realize all of the benefits of a properly maintained sprinkler system. At Altitude Sprinkler and Landscape, we know what it takes to keep your system operating properly. We provide Denver sprinkler services at prices you can afford. Our professionals will install a professional system that requires less maintenance. We work with all types of equipment and sprinkler services to get your lawn thriving in no time. We are licensed and insured, with over 23 years of experience with sprinkler services. A properly working sprinkler system helps you maintain a beautiful and green landscape. Our business has grown through our satisfied customers. We invite you to visit our website and give us a call when you are looking for Denver sprinkler services.